Maryann Andres is our Contact Lens Administrator. Maryann’s role is to process the contact lens orders prescribed by our Doctors of Optometry as well as teach new wearers insertion and removal techniques as well as the importance of care and cleanliness to reduce complications. She is dedicated to the patients and the doctors at Eyes on Sheppard by providing the most up to date information on new lenses as well as new rebates for our patients. She ensures that all tasks are complete and patients are satisfied. She is an essential member of our dispensing team and is always open to patient requests. Never having missed a day of work, Maryann is the go-to person for our patients who want to place an order, check on an order or just get some handy tips or suggestions regarding their contacts. 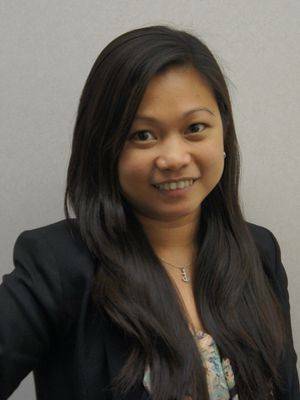 Born and raised in the Phillippines, Maryann immigrated in Canada in 2006. She graduated as a Medical Office Assistant from the Medix School in Toronto. In her free time, she enjoys spending time with her seven year old son. Maryann takes great pleasure in cooking and has a special interest in baking treats for her family and friends.